The extraordinary riches of God's glory and His glorious inheritance in the saint, which is ours in Christ Jesus, cascades into our hearts in the first chapter of Ephesians, as we discover the overflowing riches of God's grace and the tender love that the Father has bestowed on all who trust in Christ as Saviour - for we are accepted in the Beloved and have become eternally united with our Saviour, by grace through faith in Christ alone. 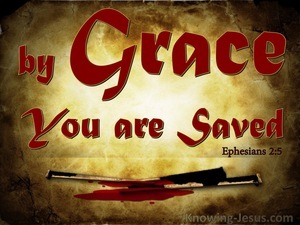 We are blessed to know that we have been saved by grace through faith in Christ, but we should never forget everything we use to be, before we were we were redeemed, by the precious blood of Jesus Christ our Lord. 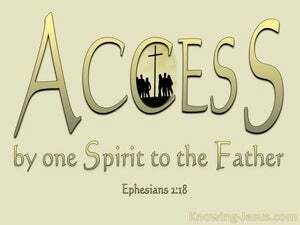 We have been born-again, into the heavenly family of God, as part of a new, and better creation, with a perfect Federal Head - we are members of the New Man Christ Jesus. I doubt that we will ever fathom the depths of God’s love for us, for His love is infinite and we are finite. 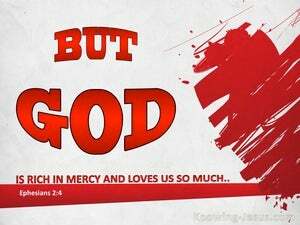 But nonetheless the love of God is rich in mercy towards us, who were born dead in trespasses and sins. 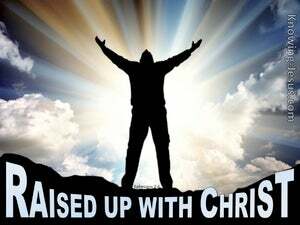 As believers we are united with Christ and because the Lord Jesus broke the power of sin and death and hell when He rose from the dead – the strength of sin in our lives has also been broken and we have been raised-up, into newness of life, in Him. The salvation of the sinner is evidence of the abounding and overflowing riches of God’s amazing grace towards the children of men, and this salvation will stand as a witness in the eternal ages to come, of the undeniable proof, to both men and angels - to the creature and to the creation, of the inexhaustible and unsearchable riches of God’s grace towards those who have been saved by His blood. 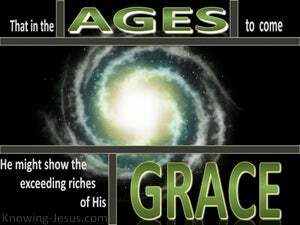 God has given humanity a gift and that gift is salvation, which was procured through the shedding of Christ’s blood in payment for the sins of the whole world. Salvation is a gift from God. Salvation is a free gift from God. 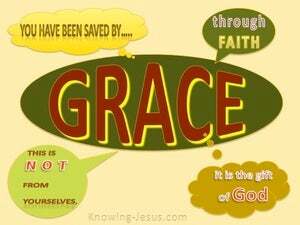 Salvation is an unmerited gift from God and salvation flows from the exceeding riches of God’s amazing grace. 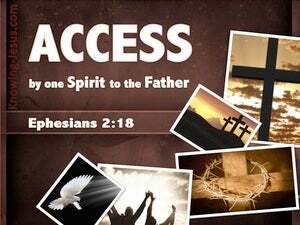 The full price of Salvation was paid by Christ on Calvary’s cross and can never be gained in any other way, except as a free gift of grace – and that Salvation is accessed by faith in the finished work of Christ Jesus – the eternal Son of God and perfect Son of Man. 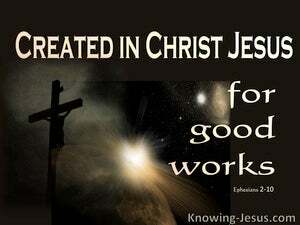 We are God’s masterpiece; God’s workmanship; God’s handiwork; God’s creatures – we are God’s new creation in Christ Jesus. 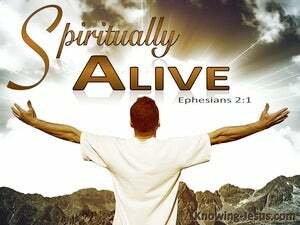 We were born spiritually dead in our sins. In God’s eyes we were a rotting corpse - the putrefying remains of a fallen creation with no beauty that God should desire us - with no hope; help; comfort or peace in the world. God chose to take a people for His name from the descendants of Abraham, Isaac and Jacob, to proclaim to the nations the goodness of God, and for thousands of years the only way that mankind could approach a holy God was through Israel's high priest and their God-ordained sacrificial system. 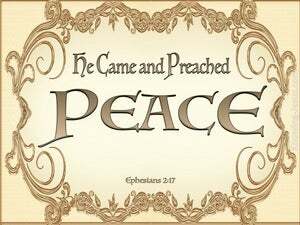 The Lord Jesus Christ has rightly been called the Prince of Peace, for Christ is the propitiation for our sins bringing peace with God for all who believe in Him. 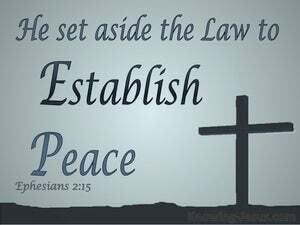 And through Christ Jesus our Lord, those who have trusted in Him as Saviour may have the peace of God, which transcends all human understanding guarding their heart and mind, for He has promised to keep in perfect peace those whose mind is stayed on Him. 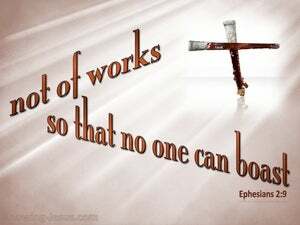 Jesus Christ made the Law of no effect by giving His sinless life to pay the full price of all sin, which was the only payment that a holy God could accept. 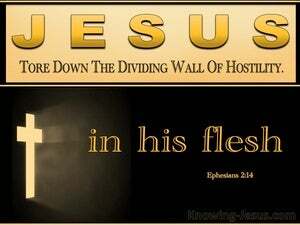 Christ not only removed the sin-barrier between God and man through the sacrifice of His body on the cross, but He also tore down the dividing walls of partition, that separated Jew from Gentile - uniting them together in brotherly love.. and making them 'one new-man' in Christ. God's gracious message to mankind, both to Jew and Gentile alike is reconciliation. In His grace and kindness God intervened in the long-standing bitter enmity and deep-seated mistrust that existed between Jew and Gentile: (by making them into one new man in Christ), and between God and man: (by bringing all who trust in Christ Jesus as Saviour back into close fellowship with Himself) - and that bond of unity is in His Son. 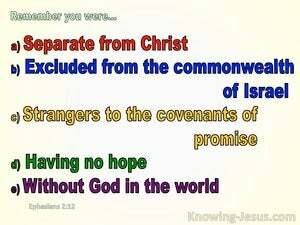 Both Jew and Gentile need to be reconciled to God. Both need God's forgiveness of their sins. 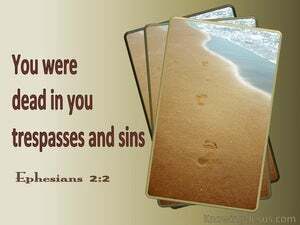 Both need to be justified by faith in Christ. 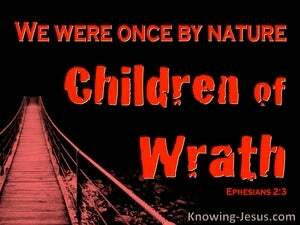 Both need to be redeemed and both need propitiation from their sins - i.e both need to have God's righteous wrath turned away from them due to Christ's blood sacrifice at Calvary - which brings all who believe in Jesus Christ, into full fellowship with the Father. 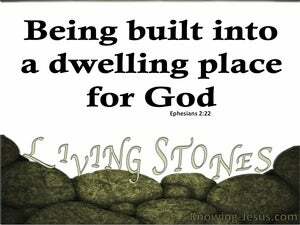 The church is the body of Christ and can be compared with a building of living stones that is being built up and fitted together in a beautiful way, by the Holy Spirit, into a holy temple –a permanent dwelling place for God. 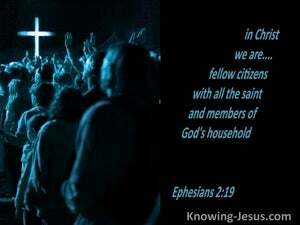 The church of Christ is made up of the family of believers that have accepted the Lord Jesus Christ as their saviour and God, in this dispensation. 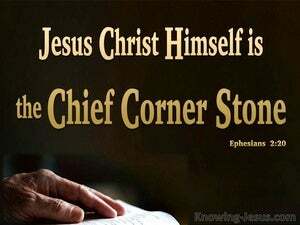 We live in a world where unschooled Christians are absorbing many false doctrines into their souls and seeking after palatable, ear-tickling teachings... to the detriment of their spiritual growth and in preference to giving heed to the sound truth of God's inerrant Word,. 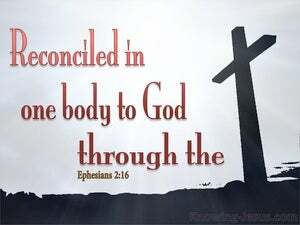 God reconciled man back to Himself and restored the relationship between Jew and Gentile through Christ's shed blood on a Roman cross, and His glorious resurrection from the dead. 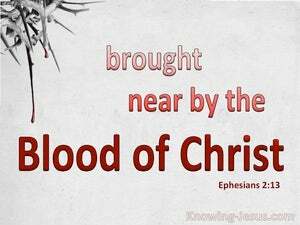 Through the blood of Christ has come the good news of peace with God and an eternal relationship with Him, by faith in Christ's shed blood for the redemption of the body and the forgiveness of sins. 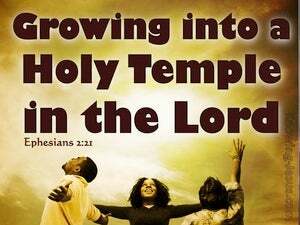 Having been born from above.. we not only enjoy a new relationship with our heavenly Father, but we have also become part of a wider and growing body - a new establishment:- the Church, who are all members of Christ's Body and the holy Temple of the living God.